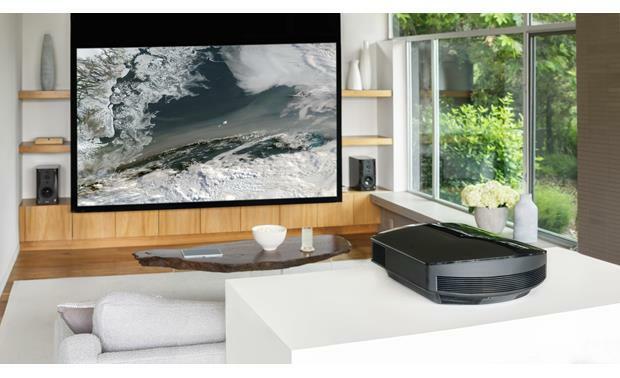 Sony's VPL-HW45ES home theater projector was already a great value. 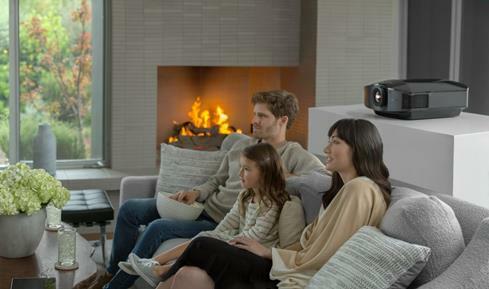 Sony's VPL-HW45ES home theater projector was already a great value. Now you can pocket some big savings while retaining Sony's full 3-year factory warranty. One of this newbie-friendly projector's best features is that it produces a crisp, bright, natural-looking picture straight out of the box. The closest thing to the movie theater experience at home. 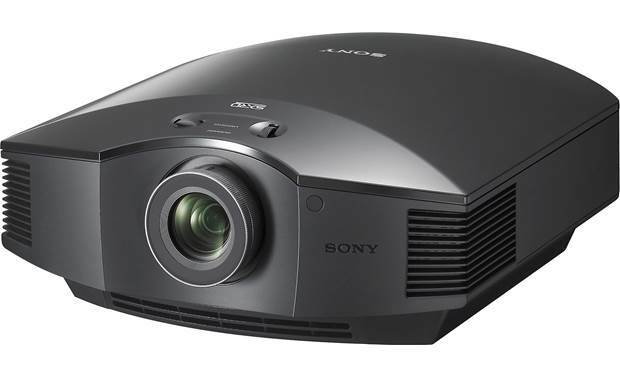 Several years ago, when I moved up to a projector in my home theater, the model I chose was a Sony that's very similar to the VPL-HW45ES. I still have it and use it for all my movie and concert viewing. It's one of the best A/V equipment purchases I've ever made. The VPL-HW45ES uses three SXRD image chips — one each for red, green, and blue — for extraordinarily rich, solid colors. SXRD produces an ultra-smooth picture by minimizing the spaces between pixels. 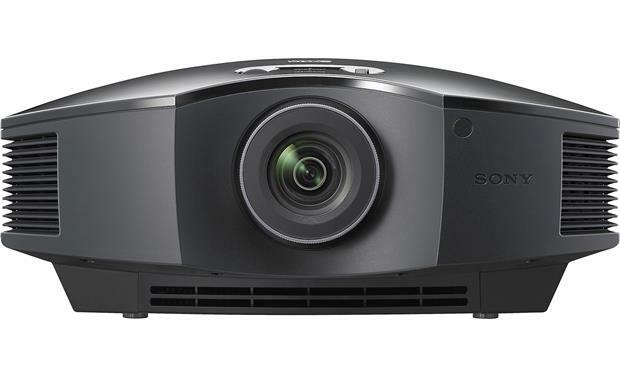 It's Sony's best projection technology, and the VPL-HW45ES is their lowest-priced model to include it. With a total of 9 picture presets, you can get a beautifully accurate image in a variety of rooms and lighting conditions. For viewing in a darkened room, simply choose the Reference mode for spot-on color and grayscale performance. When you want to watch in a brighter environment, Sony's Bright Cinema and Bright TV modes bump up the brightness while retaining true color and contrast. Some conventional projectors will skew the color balance by increasing greens to provide a brighter picture. There's also a picture setting optimized for watching black-and-white movies. And if you're a gamer, you'll love the Game mode. It boosts the brightness and drastically reduces input lag time, so you won't get bogged down in the action due to slow video processing. If you like to tweak picture controls, the Real Color Processing color management system makes it easy to fine-tune specific colors and hues without affecting skin tones. With its standard-throw lens, the VPL-HW45ES is a smart choice for medium- and larger-sized rooms. You can place it on a table, or ceiling-mount it with an optional bracket. The two "lens shift" dials let you adjust the image either horizontally or vertically, to allow for off-center projector placement. The super-quiet cooling fan is inaudible from more than a few feet away, making this projector a smart choice for smaller rooms, too. SXRD Technology: SXRD is a display technology developed by television engineers at Sony to meet and exceed the demands of a High Definition image at its full 1080 line resolution. It is a 1920 x 1080p panel characterized by several key benefits such as full HD resolution, smooth film-like image with minimal screen door effects, high response times (2.5ms rise and fall), high contrast ratio with wire grid polarizers and high contrast plate and accurate color rendition. The images from the three SXRD 0.61" panels (2,073,600 pixels each) are superimposed over each other, making the projector's native resolution 1920 x 1080, a total of 6,220,800 pixels. 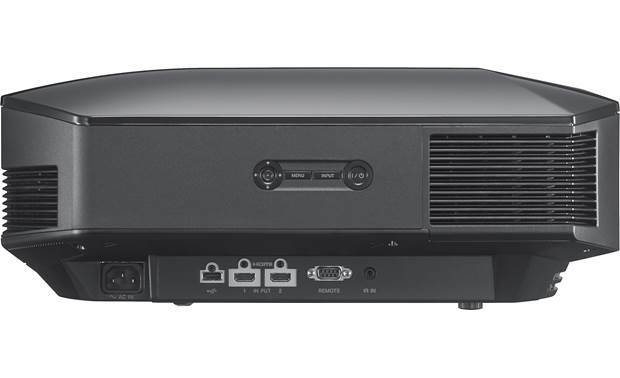 High Brightness & Vivid Picture: The Sony VPL-HW40ES video projector outputs 1800 lumens (ANSI rating) for a bright, dynamic, and vivid picture. 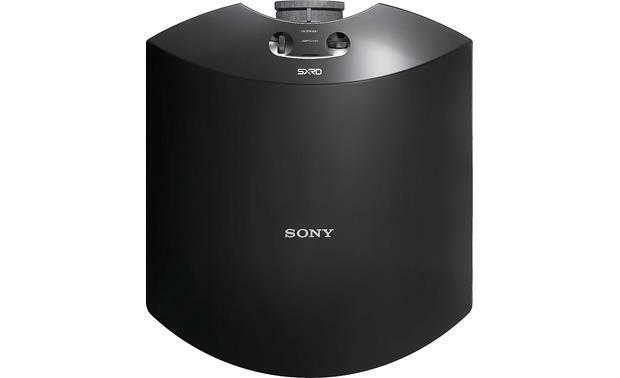 215W High Pressure Lamp w/ Dynamic Lamp Control: The Sony VPL-HW45ES employs a 215W high pressure. Enjoy up to 6000 hours of watch time (in low mode) from this long-lasting mercury lamp. This means fewer lamp swaps, simpler maintenance, and lower running costs. Sony's dynamic lamp control technology perfectly establishes vibrant, cinema-quality brightness levels on your favorite 2D or 3D movies and TV shows. Note: When replacing the lamp, use Sony's LMP-H210 Projector Lamp (sold separately). The air filter is supplied with the LMP-H210 Projector Lamp. Adjustable Lens The Sony VPL-HW45ES features a F2.52-F3.02 lens with a focal length of 18.7mm to 29.7mm. The VPL-HW45ES can be adjusted to fit complex rooms with its 1.6x manual zoom, horizontal (+/-25%) and vertical (+/-71%) lens shift features, plus1/10th pixel step panel alignment. 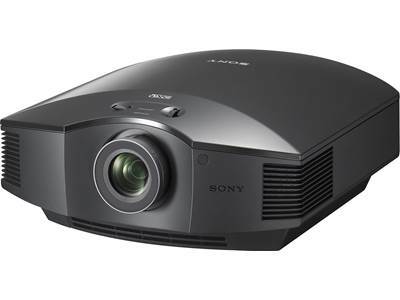 Adjustable Image Size & Lens Throw Distance: The Sony VPL-HW45ES video projector can produce an image that is adjustable between 40" and 300" (measured diagonally). The projector's adjustable lens provides a wide range of placement possibilities for a given screen size. Note: Check out Sony's Projection Simulator App (for Apple iOS 6.0+ and Android OS 4.0+) to help you choose the right screen size for your preferred viewing distance and projector location, plus get other helpful installation tips. Dual HDMI Inputs: The VPL-HW45ES is fitted with two HDMI (1.4) inputs for connection of your home theater gear, like your Blu-ray player, game console, cable box, or satellite receiver. The two HDMI inputs also allow you to connect your desktop computer or laptop. The HDMI inputs will accept 480/60p, 576/50p, 720/60p, 720/50p, 1080/60i, 1080/50i, 1080/60p, 1080/50p, and 1080/24p video signals. 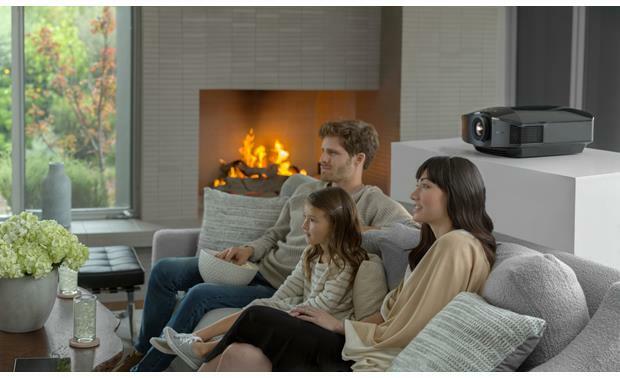 3D Ready w/ 2D-to-3D Conversion: The Sony VPL-HW45ES projector gives you the option to enjoy 3D (three-dimensional) video via its integrated 3D-Sync RF Transmitter and Sony's active 3D glasses (158G500A, sold separately). You can even add 3D to your favorite movies, shows or videos with Sony's unique 2D-to-3D up-conversion algorithm, allowing any standard definition or high definition 2D content connected via HDMI to be viewed in immersive Sony 3D. Picture Calibration: Quickly calibrate your picture to the type of content you're enjoying with a variety of adjustments. Normal: Input video is displayed in its original aspect ratio, enlarged to fill the screen. This mode is suitable for viewing 1.78:(16:9) and 1.33:1 (4:3) video. V Stretch: This is the most suitable mode for using a 2.35:1 screen to view 2.35:1 video with a commercially available anamorphic lens. Squeeze: With this setting, 1.78:1 (16:9) and 1.33:1 (4:3) video will be displayed in their correct aspect ratios when you use a commercially available anamorphic lens. Stretch: Displays video that has been squeezed to 1.33:1 (4:3) as 1.78:1 (16:9) aspect ratio. Picture View Mode: You can select the picture viewing mode that best suits the type of video source or room conditions. Picture Quality: You can easily adjust the picture quality that suits your taste by selecting the adjustment. IR Input: The video projector has a 3.5mm minijack input for use with an external IR receiver (sold separately). 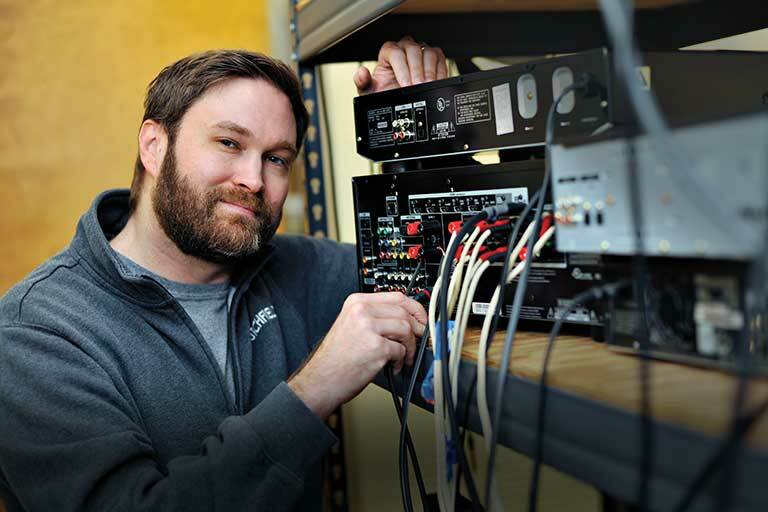 RS-232C Port: Seamlessly integrate the VPL-HW45ES into virtually any major automation system via the bi-directional, industry-standard RS-232C connection. Mounting Options: The VPL-HW45ES can be placed on a table top or ceiling mounted (mounting bracket sold separately). The projector has two adjustable rubber feet to angle the unit when projecting from a table. There are three 5mm threaded inserts that allow you to use a projector ceiling mount (sold separately) to mount the unit from your ceiling. Power Saving Modes: If no signal is input for 10 minutes, power is turned off automatically and the projector goes into standby mode. 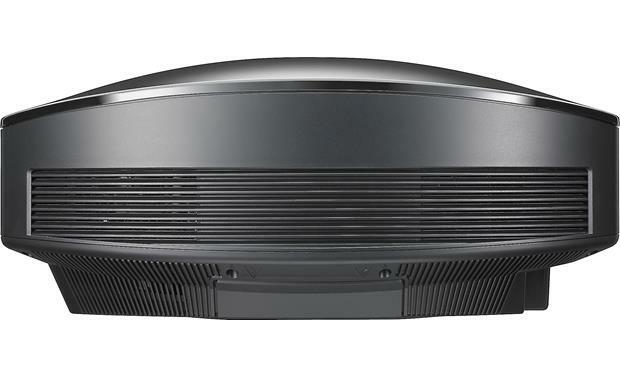 Whisper-Quiet Fan: Due to the VPL-HW45ES advanced air discharge system, Sony's whisper-quiet fan emits only 22db during show time. Updates Via USB: Software & Firmware updates will need to downloaded from the Sony website onto a USB thumbdrive. The USB thumbdrive will then need to be inserted into the projector's USB port to complete the update. Click here to find the latest updates. Warranty: The projector is covered by a 3-year parts and labor warranty, while the lamp is covered for 90 days. Get a refurbished projector with a dynamic iris for outstanding picture contrast and black levels.